Programmatic media buying has sparked a revolution in the marketing world. On the surface, automating media buys eliminates time-consuming tasks off marketers’ schedules. When digging deeper, though, programmatic advertising can unlock huge potential gains for brands. Sophisticated targeting mechanisms allow them to show their perfect target audience the perfect ad at the perfect time. Ad-buying no longer has to be limited to pre-chosen inventory; automation allows for scalable campaigns that find high-value audiences on thousands of sites. Overall, switching to a programmatic media buying platform can help propel a company to wider audience reach, greater growth and higher returns on budget. These capabilities drive spending into a market where two out of every three ads displayed are now programmatically bought. Brands will spend an estimated $32.6 billion on programmatic inventory in 2017. 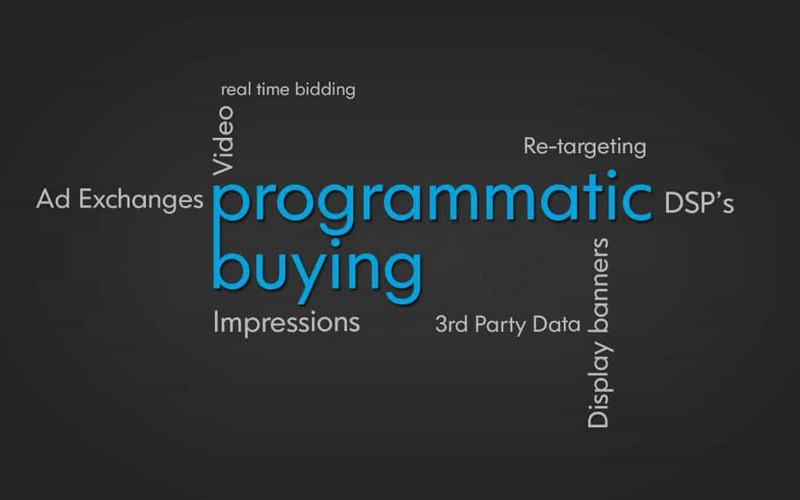 Why are brands so interested in programmatic media buying and what can it offer your company? Read on to learn the four most critical benefits of programmatic media. Old-style display media buying required intense research, strategizing and planning for a campaign to generate maximized returns. Buys were executed with phone calls, emails and even faxes (remember those?) going back and forth. Now, programmatic media buying enables enormously scalable potential with just a few campaign details put in place. By specifying audience attributes and setting a budget, brands can spread their reach across thousands of sites. By placing ads directly in front of an interested audience — rather than on a site — programmatic ads have a higher chance of being received well by audiences. One major agency recently switched to a context-specific programmatic approach for their clients. Instead of buying inventory across an entire channel, they used a programmatic DSP and video meta tags to automatically match content with related ads. They saw a 63% increase in purchase intent and an 83% increase in likelihood of audiences recommending the product to others. 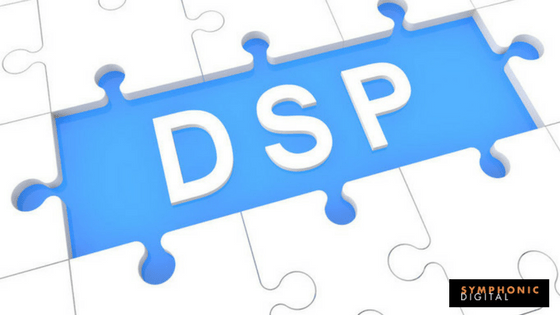 Generally, programmatic media buys cost less on a CPM basis than traditional display. Automated bidding through Demand Side Platforms (DSPs) ensure that you only buy inventory within your defined value range. The ability to control budget parameters also allows you to control spend, even in real-time. Advertised brands can additionally guarantee that their ads are not shown too often to the same person thanks to frequency capping. Parameters like these keep spending lean and avoid waste on ineffective exposures. All of these buys are not only cheaper but more effective. Major enterprises like Kellogg’s have been able to lift their ROI as much as sixfold by switching to a programmatic strategy. Many brands struggle with traditional inventory buys. Maintaining a strategy requires discipline, such as researching which inventory provides the right reach for a certain demographic at the right price. Now, all of these parameters can be set with just a few people and automated through algorithms. Marketing staff can specify certain attributes to target, such as region, age group, lifestyle interest and more. They can focus on specific devices and browsers. They can blacklist certain sites, or they can create private deals with specific inventory carriers. Simply put, advertisers have greater control over their campaigns but with much less effort. Buys can also be scaled on-the-fly by adding to their budget and targeting parameters. What once took several weeks worth of planning can now be set in an afternoon. The Economist used programmatic’s scalability to target avid news readers on other sites. By matching the display creative with the subject of the article the reader was on, The Economist was able to catch their eye. The campaign resulted in 650,000 new subscriber prospects and 3.6 million engaged users, creating a 10:1 ROI overall. The scalability of programmatic media buys combined with pixels and tracking generates a huge amount of data. Audience engagement can be measured and compared across thousands of variables. Brands can look for trends in audience attributes and engagement as compared to certain display venues. Over time, small adjustments can help them obtain better results and greater ROI. For example, a trend can reveal that a certain ad is highly effective with women ages 30 to 40 when shown late Sunday night, unlocking greater returns from a leaner budget. Additionally, looking at actual website audience traffic may unlock a highly engaged but previously unknown audience segment that can then be targeted in a future phase of the campaign. Constructing programmatic media campaigns can be unfamiliar and daunting. Ensure that your campaigns are strategic, well-constructed and poised to make the maximum impact with the help of a digital marketing agency like Symphonic Digital. Build effective campaigns, enhance their scalability and reduce wasted spend with our expertise. Interested in learning more about programmatic media? Contact us today.